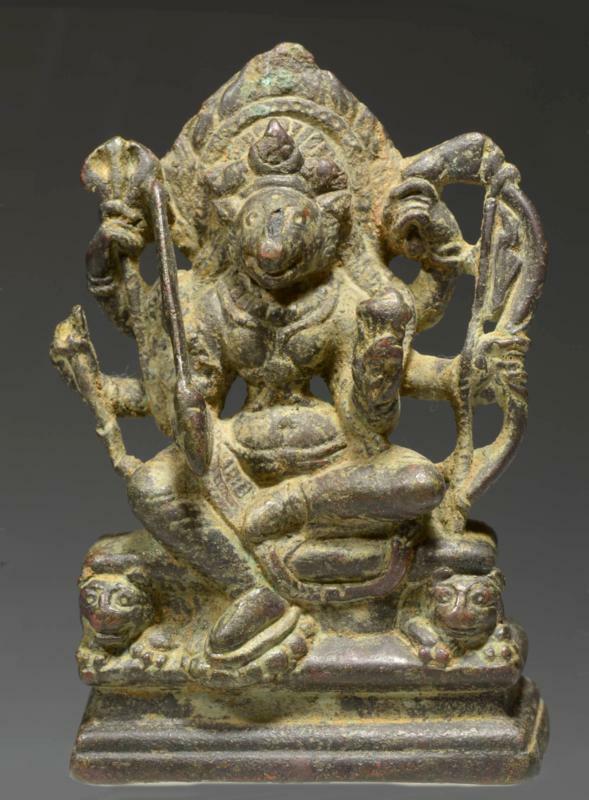 A rare and aged casting, he is seated up on a raise plinth base; the deity crowned and with multiple arms in sway holding attributes, overall incised details. Size: 3-3/4 inches H (9.5cm). Vishnu's preserving, restoring, and protecting powers have been manifested in the world in a series of ten earthly incarnations known as avatars. The avatars arrive either to prevent a great evil or to effect good upon the earth. This sculpture represents Vishnu's avatar; Varaha the boar.